Have you wondered what Diastasis Recti is or if you have it? 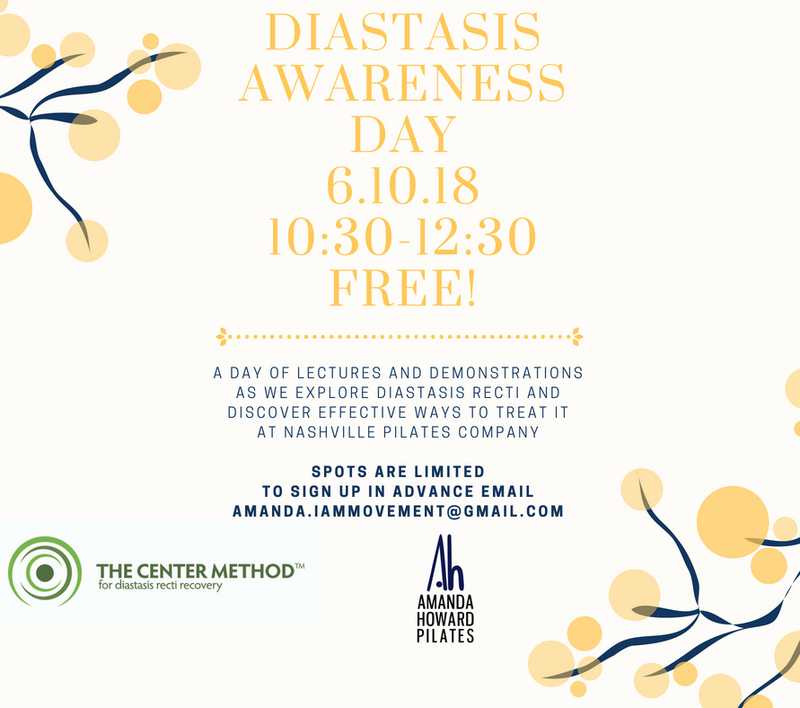 Join Amanda Howard (Pre/Postnatal Pilates specialist) and Nicole Motzny (Physical Therapist, Vanderbilt University Medical Center) for Diastasis Awareness Day! These two experts will discuss what DR is, how to heal it, and what exercises can help. Amanda will lead a 45-minute Pilates class appropriate for those with DR, so come prepared to move! This event is for men and women with Diastasis Recti, fitness and health care professionals looking for ways to help their clients better understand and heal DR, and those simply curious about DR.